Over spending is easy, even in small spaces. In this kids bathroom, we had a budget of $8k. We did not go to fancy tile stores, or buy pricey plumbing fixtures, and we still went way over budget. We purchased our tile, tub, sinks and faucets from Lowes. 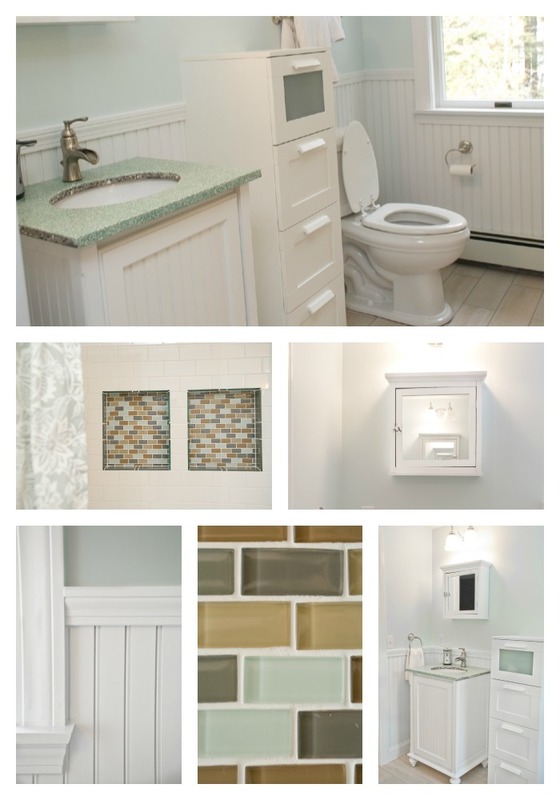 We used Celia Bedilia vanities and terrazzo vanity tops. We thought we were doing a great job sticking to our budget $4,775.95, for all those items. But then came the labor, and all other building materials…before long we were over budget! 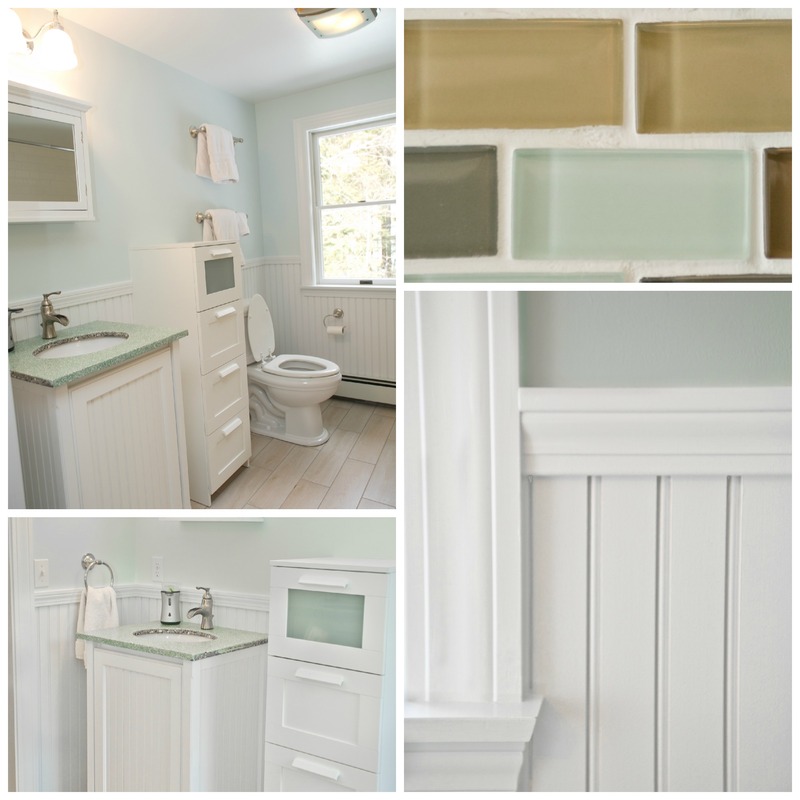 The details that make this bathroom crisp and clean, but did not blow the budget: Bead-board, sea-glass tile shower-box inserts, glass subway tile trim, wood plank floor tile, and all the white accents. I have done many bathrooms, but I still amazed at the cost of doing a renovation. I have included the actual numbers for this bathroom below. I hope that this will help those of you who are contemplating renovations, understand where your money will go! I hope you have enjoyed this post. Are you planning any renovations? Let’s us help you! Thank you for reading our blog, without you we are nothing! If you like this post, let us know by liking the post, if you have any comments or questions…ask us! As always, if you are not already following our blog, join our family by clicking the follow button! Enjoy your weekend, I am off to Washington, DC to see two new projects…you will hear about them soon!